Federal Terrorist Hunting Permit Bumper Sticker | BUDK.com - Knives & Swords At The Lowest Prices! What better place to let folks know what you support and how you feel than the bumper of your vehicle. Your beliefs will get maximum exposure with this 3x10 screen printed on vinyl bumper sticker. 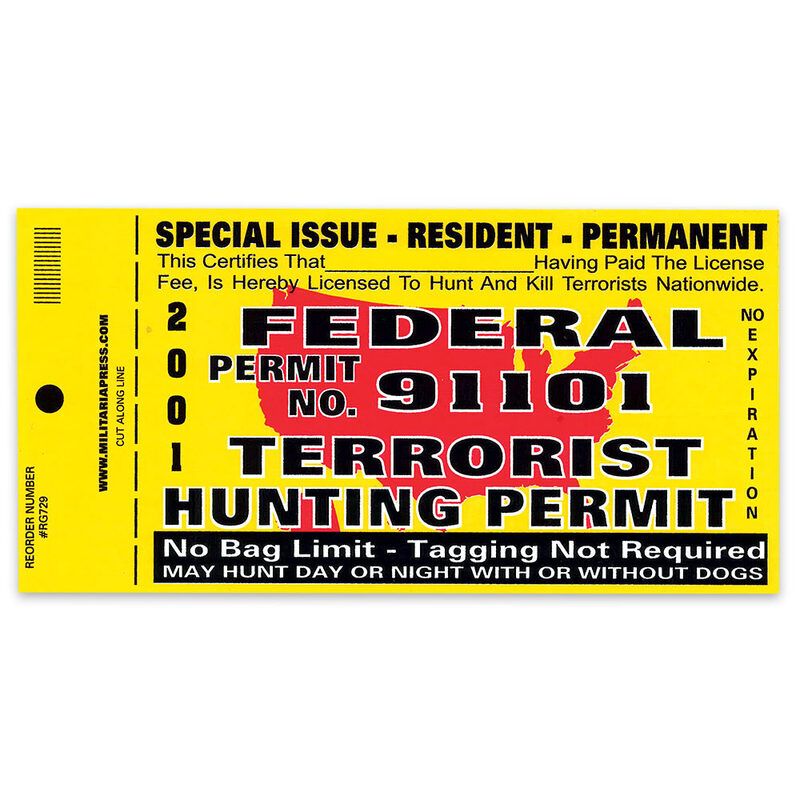 The Federal Terrorist Hunting Permit sticker is printed with U.V. ink to withstand the elements.